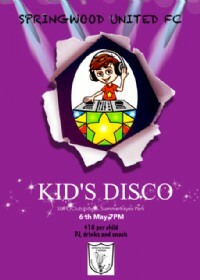 Kids Disco at the Clubhouse. $10 per child includes awesome DJ, drinks and snacks. Payable on the night. Please indicate your interest for catering purposes.